Law firms have recently been targeted by hackers as gold mines. The information stored at law firms can be used to create fake IDs, to attain personal information about clients, and used to manipulate the stock market. Recently, Chinese hackers “were ordered to pay $8.9 million in fines and penalties for hacking into two law firms and stealing information on upcoming mergers and acquisitions and then leveraging the information to trade stocks.” These security breaches are hitting solo firms, as well as the larger 100+ employee corporations. Law offices find out about the cyberattacks, and in some cases, are warned by the FBI. Last year the FBI sent out a notification, Alert Number 160304-001, titled “’Criminal-Seeking-Hacker’ Requests Network Breach for Insider Trading Operation” to let industries see how easy it can be to gain the services of a hacker or hacker group. Law offices should look into managed security services to help locate weaknesses in their infrastructure. Whether additional security options hinder the attorney’s ability to work with his clientele. 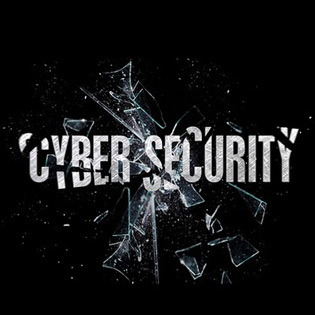 The 2016 Legal Technology Survey reported “that about 14% of respondents overall reported that their firms had experienced a security breach at some point.” A security breach does not include spyware or viruses. The number is much higher (45%) when all types of cyberattacks are calculated into the equation. Only 10% of law firms reported the unauthorized access to law enforcement. Larger companies can get hit with malware attacks hundreds of times a day. It is a constant barrage against internal networks. In some cases, the attacks can act as a distraction so the hackers can try to infiltrate the network with a small ransomware attack. If a risk analysis shows your firm cannot successfully meet all the criteria of the ABA in securing your network, then it is time to look toward managed security services for help. TOSS has experts that can help you provide the right policies for your firm. Authentication is a must for mobile devices. In fact, any technological devices that need to connect to the firm from an outside source will use some kind of authentication protocol to gain access to your network. These authentications are great for security, but they are just the first line of defense in protecting your network from cyber criminals. Encryption helps tremendously, and there are several different types. Make sure to get the best you can find, and make sure it works for all your mobile needs. Basic tools like spam filters, firewalls, and anti-virus software can help to up your security level. They are simple tools, but they do provide another needed layer of security. Disaster recovery can help in so many ways. It may not stop your data from disappearing, but it will ensure you have a secure backup.